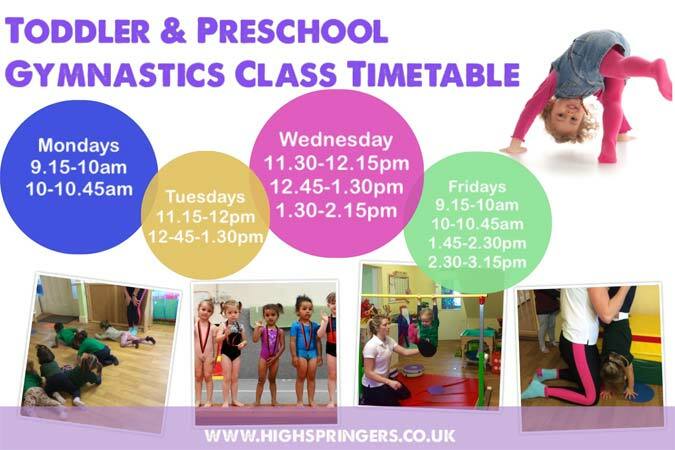 High Springers is an inclusive Trampoline, Gymnastics and Rebound Therapy Club based in Hertfordshire and London, providing a wide range of classes and activities for those of all age and abilities. Established in 2014 and now currently operating from 5 venues, a team of over 20 coaches, offering 40 classes a week and over 350 members, we continue to grow and create aspiring, active young gymnasts and individuals. High Springers is fully affiliated to British Gymnastics, the official National Governing Body for gymnastics. We are also affiliated members of the Hertfordshire Gymnastics Association and compete in the east region. We currently offer a wide range of gymnastics and fitness activities for people of all ages and abilities. Our team of experienced dedicated staff at High Springers will introduce and develop the sport of gymnastics in a professional manner that will develop each gymnast to reach their full potential in a motivating, safe and positive environment. High Springers is where your child learns through enjoyment, because we enjoy having fun.